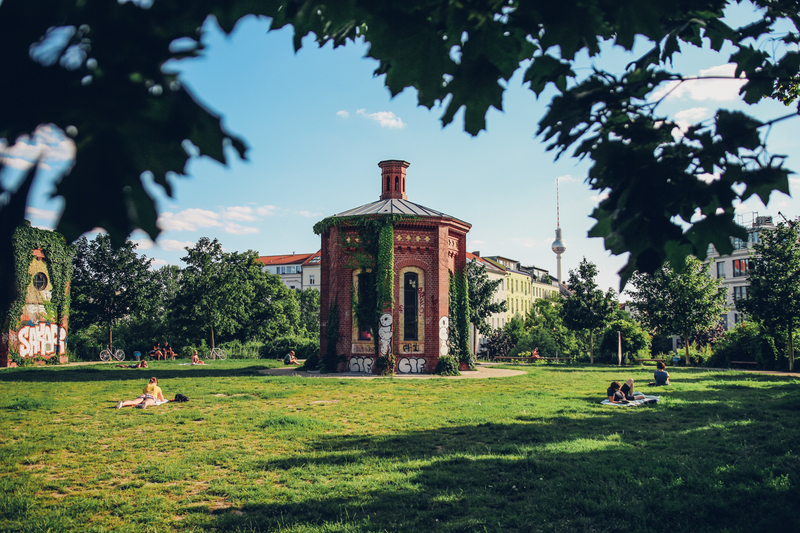 Berlin’s green spaces are probably one of its most cherished assets – and rightly so. 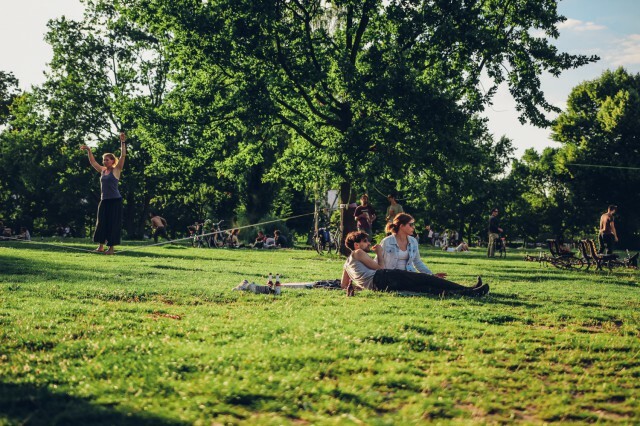 They are as diversified as the city itself and will easily transform according to your daily agenda, no matter if you need a sunny picnic spot, a peaceful field for your yoga session, or a chilled location to drink up your recent Späti purchases. Indeed, 59% of Berlin’s whole surface has some vegetation going, and although this does not place our capital anywhere close to the top ten of Germany’s greenest cities (and 12% shy of Hamburg’s score), I like to think we’re doing our best. Just take a look at all the random plants people put on their balconies (or sometimes windowsills) in no particular order, giving a whole new meaning to the term ‘’urban jungle’’. In a manner similar to these pop up private gardens, the green spaces in Berlin are spread all around the 12 official administrative boroughs. This can make us the envy of New York, where an hour commute to the closest park is no uncommon thing. 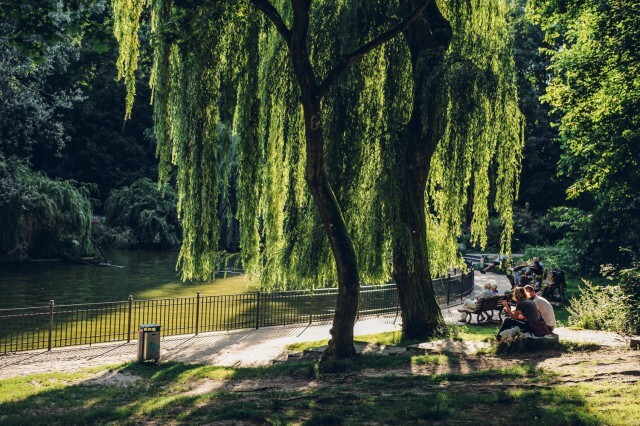 Although Tiergarten, which could be seen as our very own Central Park is roughly 100 acres smaller than the American version, the beautiful Siegessäule and urban legends of gay cruising adventures make it impossible to deny its unique charm. And that’s what really makes Berlin stand out in this game: how we’ve managed to make the city’s green lungs our own. Some of our favorite parks have never seen a flower bed, and occasionally there’s not enough hands to collect all the empty bottles left under the trash bin, but Berliners have an affinity for this kind of lowkey crudity, and if you’ve ever been to Mauerpark, you’ll know it attracts tourists, too. But you couldn’t be more wrong if you think Berlin’s green grass game is all about Görli’s gravel paths and Hasenheide’s mini zoo. 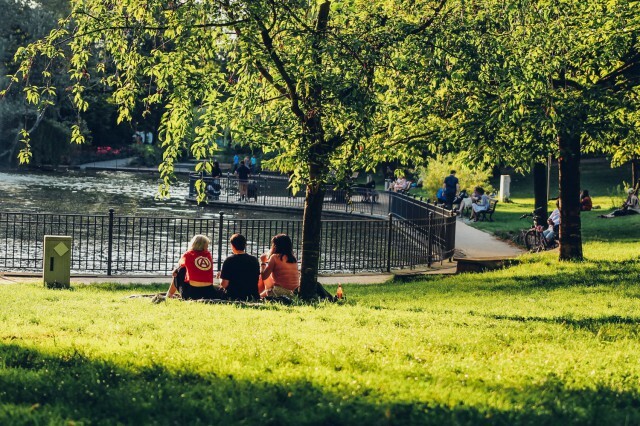 There’s plenty of legitimately delightful spots both in town – like Neukölln’s cute Körnerpark and the Rose garden at the Volkspark Humboldthain – and on the outskirts. There’s a small fee to enter the Gardens of the World in Marzahn-Hellersdorf, but it’s more than worth it. They have a bunch of themed gardens there, with areas ranging from the Japanese style to the Italian Renaissance garden. Peeing in the bushes over at the Kanal is an experience slightly different than admiring tulips in the lovely Britzer Garden, and yet Berlin can accommodate it all. So go out and enjoy while it’s still summer, for winter makes one of these activities impossible and the other way less fun. 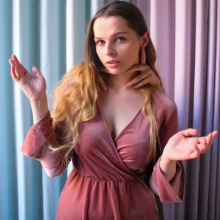 Michalina I just love all your articles 🙂 You read in my mind and write articles about all I`m thinking about and give detailed answers for specific, probing questions. I will deffinitelly follow your articles. Thanks for sharing your creativity and taste !